To enquire about a room or a table, please go to our Contact page or call us. Do direct any other enquiries to the email addresses as below. 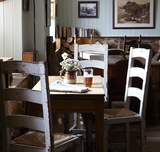 The Friends of Eatdrinksleep are subjected to the occasional email or letter with offers from The Gurnard’s Head, The Old Coastguard and The Felin Fach Griffin that are not always available to the general public. If you’d like to join, please do register your details by clicking here. Although we have a low team turnover, we're always interested in talking to outstanding individuals who want to look after guests or are aspiring chefs. If you'd like to talk to us about opportunities in Cornwall at The Gurnard’s Head or The Old Coastguard or in Wales at The Felin Fach Griffin, please do click here to email the team. Our priority is to provide a refuge from the modern world for our local and regular guests and those passing randomly by. So we tend not to agree to host weddings of any size. But if you'd like to organise a lunch or supper for a small number to celebrate, or even an Ushers' Lunch, please do contact us here. 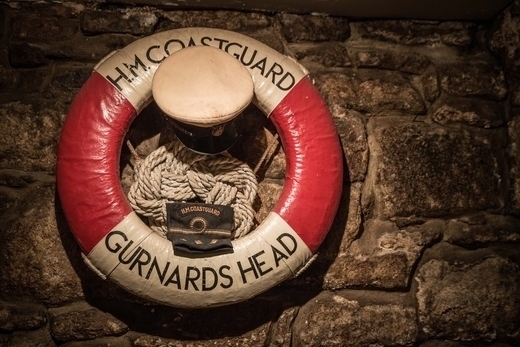 We have held art exhibitions, wine dinners and book launches at The Gurnard’s Head will continue to do so. Details are always posted on the website. If you would like us to keep you informed of all events and offers, please do register as a friend of EATDRINKSLEEP.